This statistic shows public sector expenditure in Scotland in 2017/18, by sector. 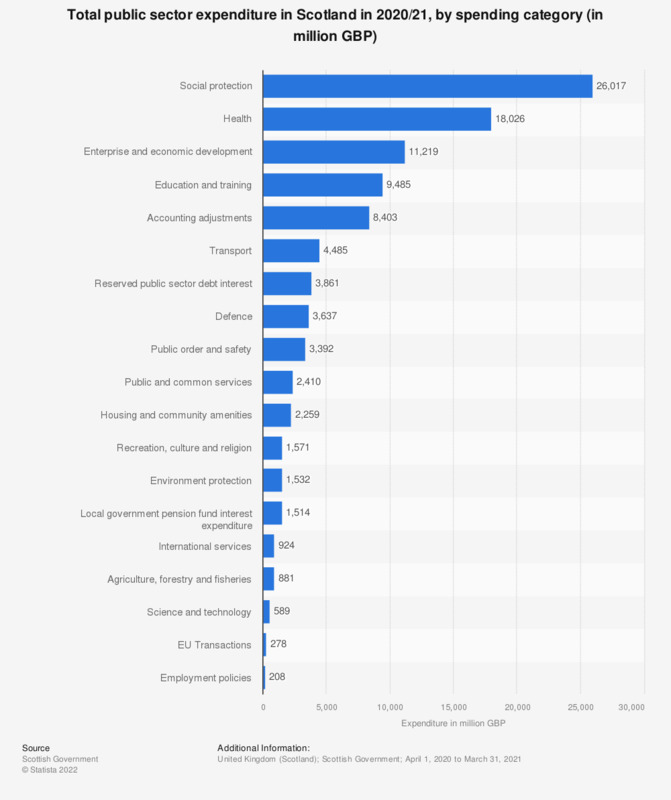 Government expenditure was highest on social protection and health, with approximately 23.6 and 12.8 billion British pounds, respectively. Do you use social media (Facebook, Instagram, LinkedIn, etc.) at work? What is your preferred method of contacting local public sector organizations?